Simone de Beauvoir is remembered as a writer, activist, feminist and theorist. She is known for her academic successes, contributions to the literary world and political activism. Her personal life included some scandalous affairs along with a close relationship with the influential John Sartre. 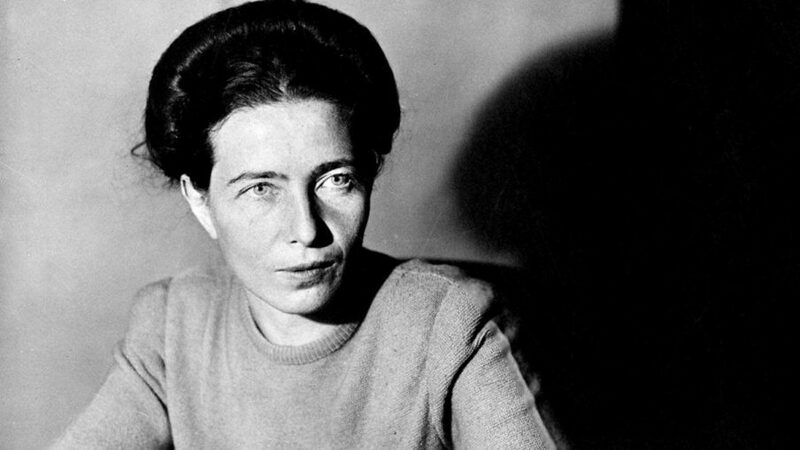 Though she passed more than three decades ago, the work of Simone de Beauvoir is still read, researched and highly regarded. Simone de Beauvoir held strong beliefs in Existentialism and wrote on Existentialist ethics and feminist Existentialism. She believed that we as humans are not living as our true selves in the present. Simone delves deeply into the roots of this belief and on the ethics of Existentialism, freedom and human values in her second-major nonfiction piece, The Ethics of Ambiguity. This three-part composition examines the philosophy that influences Simone’s own ethical understandings and explores the fundamentals of freedom. She declares that we, as humans, have the inherent freedom to choose for ourselves as we please, though often are constrained and oppressed by societal norms and expectations. She continues to suggest that this begins in childhood and writes about how, as children, we are raised with the belief that the world is as it is without question. She goes on to suggest that if we do not live outside of the boxes imposed upon us then we are not truly living. We will never learn to grow beyond and our freedoms will remain unrealized. The author writes that we hold within ourselves ambiguity and that we contain a deep uncertainty. She maintains that this apprehension is the cause of a great discomfort we have with our own lives. Beauvoir declares that we feel this ambiguity and must face it directly. Originally published in 1947, The Ethics of Ambiguity remains a must read for fans of Simone de Beauvoir, studiers of philosophy and researchers of Existentialism alike.